Bring a large pot of lightly salted water to a boil. Cook corn in boiling water for 7 to 10 minutes, or until desired tenderness. Drain, cool, and cut kernels off the cob with a sharp knife. 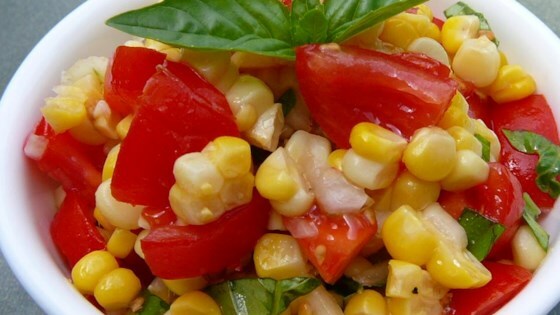 In a large bowl, toss together the corn, tomatoes, onion, basil, oil, vinegar, salt and pepper. Chill until serving.